In an epic three-set final that pitted two WTA Rising Stars against each other, Karolina Pliskova defeated Camila Giorgi to lift the Generali Ladies Linz title. After splitting the first two sets, Pliskova stormed to a 5-1 lead in the third set and appeared to be en route to an emphatic finish before Giorgi regained her footing and leveled the score to send the match to a deciding tiebreak. From there, the seventh seed managed to edge out the victory 6-7(4), 6-3, 7-6(4). 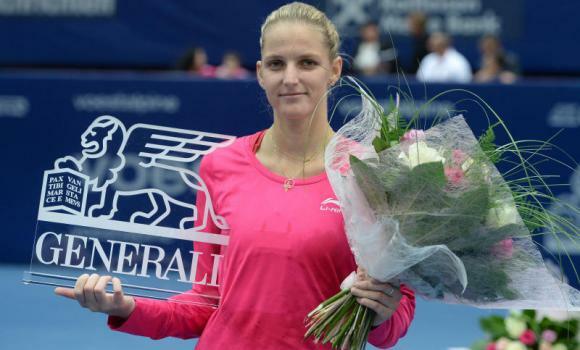 “It could have been a little easier, but I’m still happy I won the title,” Pliskova said. “After I was 5-1 up and she came back and had match point, I was already thinking I would lose, and that I would cry afterwards! But she was playing so well in that part of the third set. Before that she was making so many mistakes, but she stopped doing that and calmed down, and she played so much better there. Pliskova has been on a significant hot streak since the US Open – one that included a title win in Seoul just a few short weeks ago. 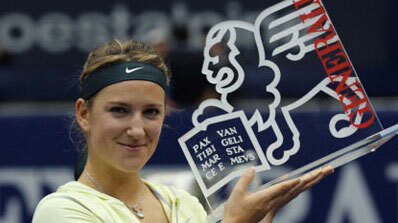 This now marks her third title overall and her second this season. Giorgi, however, is 0-2 in finals. Pliskova earned € 34,677 and 280 ranking points for her efforts.